Korean Peninsula Nuclear Confrontation Plan Is Still On Track And Hot! Title: Korean Peninsula Nuclear Confrontation Plan Is Still On Track And Hot! 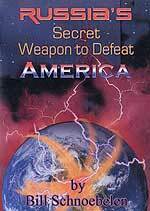 Subtitle: The planned Third World War, which is designed to stage the Masonic Christ, envisions a nuclear confrontation on the Korean Peninsula which will literally cause "men's hearts to fail for fear". After lying dormant for nearly a full year, news about this nuclear confrontation suddenly erupted, with a story representing the last stage of this planned crisis! Before we start our examination of the exciting current news, let us examine background information, so you can more properly understand these current news stories. Let us first examine the exact wording of the part of the Illuminati Plan which reveals the Korean Peninsula portion of the Third World War. Through thick and thin, through criticism and some rejection, we have held to this position, simply because the New World Order writings contain this scenario. When I first read "The Armageddon Script" in 1993, and realized that a serious nuclear confrontation was planned on the Korean Peninsula, I was incredulous because President Clinton was diplomatically agitating against North Korea concerning her supposed nuclear arms program. Matters got so serious that Clinton sent Former President Jimmy Carter over to Pyongyang in 1994 to "negotiate" a solution. Our article on this impotent diplomatic trip is available to read -- NEWS1720 -- and we encourage you to read it, for it reveals just how long this scenario has been playing out. During President Bush's first term, his Administration engaged in multiple six-party talks which yielded absolutely no fruit whatsoever. We know that the old Soviet Union manufactured nuclear bombs in North Korea for a couple of decades before it disbanded in 1991, using a far different processing required for Korea's Monazite uranium ore. Let us examine this reality now. "It was May of 1994, nine years ago, when the US military planners had first realized that North Korea had the bomb and devised nuclear attack plans under William Perry, the then US Secretary of Defense. Perry had estimated that North Korea would have about 100 nuclear warheads by 2000 ... Any rational person would ask how the North Koreans acquired so many nuclear weapons since 1994. Publicly, the North Koreans are processing plutonium at it's Yonbyong nuclear reactor and it's stated and restated over and over in the mass media to the point of ad nauseam that the North Koreans are capable of making only five or six nuclear weapons in a period of about 6 months. "Since Yonbyong doesn't make enough plutonium for 100 nuclear weapons including hydrogen bombs, which use up to three times as much fissionable material as atomic bombs for the separate stages within the H-bombs, the North Koreans had another source for weapons grade fissionable material -- Monazite ... Most of the thorium found in monazite is the naturally radioactive Thorium-232 ... The Japanese military built thorium extraction facilities in Korea and planned to build a thorium stockpile as part of Japanese military's failed endeavor to build an atomic bomb to counter the nuclear threat posed by the Manhattan Project in the United States ... By 1945, the Korean Peninsula was split at the 38th Parallel and North Korea was occupied by the Soviet Union. The Soviets took over the Japanese bomb project and moved most of it to a facility north of Moscow along with several North Korean nuclear physicists ... When Thorium-232 is bombarded by neutrons within a nuclear reactor, it transmutes into fissionable weapons grade material known as -- Uranium-233. "Uranium-233 works just as well as Plutonium-239 in nuclear weapons because of its low fission cross section and low critical mass needed to initiate a nuclear explosion. Although Uranium-233 is described as 'difficult to work with' because of its excessive radioactivity, it can be used by someone 'wanting to build a nuclear device secretly', which brings us back to North Korea." "During the Cold War, the North Koreans continued to mine Monazite for the Soviet Union and once the Soviet Empire collapsed in 1991, the Monazite processing facilities as well as the Monazite mines became the property of the North Koreans. Under the leadership of Kim Il Sung during the Cold War, nuclear reactors were built so North Korea could build its own nuclear arsenal." Now, you know the full story as to how North Korea could process enough nuclear weapons grade material so she could possess hundreds of nuclear weapons; further, now you know that the United States has known this to be true since 1994! Therefore, whenever you read these stories that North Korea may be about to produce a few nuclear weapons soon, unless we take some drastic action to stop them, you know you are reading a propaganda piece designed to create a false impression. If this scenario sounds suspiciously like the Iranian propaganda for the last three years, you are absolutely correct! I guess the global planners believe that, if people are fooled once by a particular kind of lie, they will always be fooled by the same lie -- no matter how many times it is told. We at Cutting Edge have always maintained that it makes no sense for Iran and North Korea to initiate an indigenous program developing atomic weapons from scratch, when Pakistan has possessed nuclear weapons for two decades and has always been cash-poor. Indeed, we believe Iran purchased her nuclear devices right off the shelf from Pakistan (NEWS1660), as did Saudi Arabia (NEWS2047). And, to add fuel to this propaganda fire, North Korea inherited the nuclear power enrichment plants on her soil when the old U.S.S.R. was disbanded. I believe Jimmy Carter traveled to North Korea in 1994, because that was the year North Korea was able to begin producing her own nuclear weapons from the old U.S.S.R. enrichment plants which had fallen into her hands in 1991. 1) That North Korea most definitely possesses nuclear weapons ready to fire at a moment's notice and in enough quantity to threaten various nations throughout the world -- most notably Japan and the United States. We posted an article in March, 2003, (NEWS1781) in which we have reported that North Korea possessed at least 100 nuclear warheads. That article was posted three years ago, giving North Korea the capability of producing at least another 100 nuclear warheads in her Monazite enrichment plants. 2) That North Korea has missiles which can accurately deliver these nuclear warheads at targets within the immediate theater, at targets at intermediate range, and at targets at intercontinental range. Over the past 10 years, Mass Media has told us repeatedly that North Korea does possess the first two types of missiles, and that they are good enough to be sold to various "rogue nations" throughout the globe. The fact that other nations have bought North Korean missiles for their arsenal tells people that these missiles must be accurate. However, the people of the world have never yet been told emphatically that North Korea now possess a three-stage intercontinental missile capable of hitting targets on the East Coast of the United States. We reported in NEWS1781 that North Korea did possess exactly this type of missile, but this information apparently did not go far beyond the circle of Cutting Edge readers and subscribers. But, in this past week, the Mass Media has been trumpeting that North Korea is about to test an intercontinental ballistic missile! This type of propaganda is designed to raise the awareness level very high in the minds of citizens throughout the world, but especially in the United States. Let us now review current news stories so we can better appreciate the fact that this plan may be about ready to move into its final phase. "Warnings that North Korea appears close to test-firing an intercontinental missile are escalating tensions on the Korean peninsula." I find the timing of this missile test to be very interesting. At the very time that tensions generated from the Iranian nuclear program are dying down, this North Korean test is heightening those very war tensions. Furthermore, the North Korean military is just as tough as is the Iranian military, and may be just as protected by Russian and/or Chinese scalar weaponry as is Iran. Thus, as the United States is said by Mass Media to be planning an attack on Iranian nuclear enrichment targets, North Korea initiates greater tensions by this missile test, thus serving notice on the Bush Administration that it just might be fighting two major wars in two very different parts of the world should we launch a war against Iran. Now, let us return to this featured news article. "North Korea appears to have completed injecting liquid fuel into a long-range ballistic missile, the final stage before the launch, intelligence authorities in the U.S. and Korea said Sunday. That signals a turning point this week since the missile should either be fired or the fuel removed within 24 hours of fuel injection. All that remains is 'the click of a button', a Foreign Ministry official said. But bad weather near Musudanri, North Hamgyong Province where the launch pad is deployed is reportedly making it difficult to conduct an immediate test launch of the Taepodong 2-type missile. 'It’s likely that weather conditions will remain unfavorable to a test on Monday', a military official said. North Korea did its part in heightening tensions by accompanying her seemingly imminent intercontinental ballistic missile test with extremely hostile war rhetoric. "Seoul • North Korea yesterday threatened to 'mercilessly wipe out' US forces in case of war during a national meeting to mark leader Kim Jong-Il’s 42 years’ work at the ruling party. The threat, in a ruling party report carried by the Korean Central News Agency (KCNA), came as North Korea was reportedly preparing to test-fire a long-range missile despite strong protests from the United States and its allies. Choe Thae Bok, a ranking Workers’ Party official, said Washington was 'hell-bent on provocations of war of aggression' in the report to mark the 42nd anniversary of Kim’s start at the party ... 'If the enemies ignite a war eventually, the Korean army and people will mercilessly wipe out the aggressors and give vent to the deep-rooted grudge of the nation', Choe was quoted as telling the meeting." This next segment tells us the range of the missile North Korea is reportedly readying for test. "The warhead of a long-range missile test-fired by North Korea was found in the U.S. state of Alaska, a report to the National Assembly revealed yesterday. 'According to a U.S. document, the last piece of a missile warhead fired by North Korea was found in Alaska,’ former Japanese foreign minister Taro Nakayama was quoted as saying in the report. `Washington, as well as Tokyo, has so far underrated Pyongyang’s missile capabilities.' "
"Washington, as well as Tokyo, has so far underrated Pyongyang’s missile capabilities.' "
I honestly believe that the Illuminati plans to deliberately "underrate" North Korea's total capabilities -- both in the number of warheads and the accuracy and range of its missiles -- until the day the crisis breaks. If North Korea suddenly proved a capability to the world which few expected, the shock value would be far, far greater. People's minds could literally be blown by this "underrated, unreported capability"! The fright factor would be enormously intensified. Can anyone say "Intelligence Failure" one more time? Obviously, this entire scripted hair-raising nuclear confrontation in Korea would not be believable if North Korea could not deliver her warheads to their target. People will not believe their survival will be at risk if they understood the true defensive capability of America's HAARP and Russia's Scalar Weapons technology. Both weapons systems provide a 100% effective shield over a target area which will prevent anything flying from penetrating the shield -- be it birds, planes, or missiles. Take a moment to study this shield. 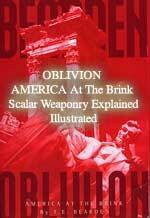 The real capability which protects Israel and the United States from incoming missiles and air craft with this Tesla Shield -- a capability Israel certainly has because scalar wave technology, according to LTC Bearden in "Oblivion: America At The Brink". This drawing illustrates a Tesla Dome being erected over a modern city, in this case, Atlanta, Georgia. You will discover that no fleet should sail if its scientists cannot deploy an effective Tesla Dome; no army should march and no air force should deploy without this Dome. 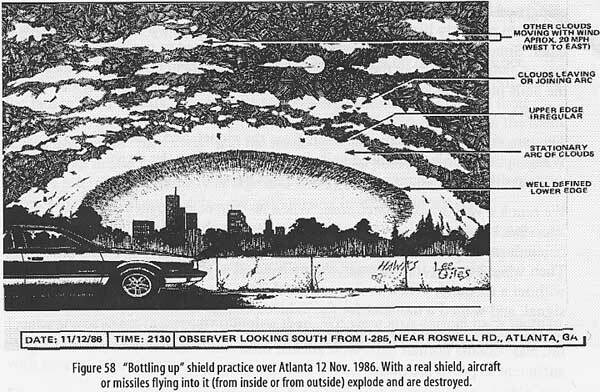 "On 12 November 1986, the Soviets even placed a giant 'dummy shield' (practice) over Atlanta, Georgia. If the shield had been real and not just practice, any aircraft and missiles flying into it would have been instantly exploded and destroyed. That mode -- 'bottling up' a strategic weapons area -- is useful to nullify an entire strategic ICBM launch complex or a large bomber base, etc. It can also 'bottle up' a large carrier task force at sea, including the aircraft and the Tomahawk missiles, the shells from the naval guns, etc. With a real shield, aircraft or missiles flying into it (from inside or from outside) explode and are destroyed." Obviously, if Russia were to erect a Tesla Dome over Tehran or over the entire country of Iran, for example, none of our weapons could penetrate to reach the targets! You can see that any weapons system today must move under the protection of a Tesla Dome. In other words, the Dome must always march overhead and around the naval ships, the aircraft, and the armies moving toward their destination. As you can imagine from this artist's recreation, a Dome can be made to continuously move with the aircraft, at the speed of the aircraft, so it will always surround the plane. The fact of the matter is that the Dome can move at the speed of modern aircraft, or it can remain fixed and static over an entire target location -- even if it is around an entire continent! America has their own Tesla Dome, created by their own HAARP weapons technology. Even though it is not as powerful as the Russian Scalar Dome, it would block 100% of all missiles coming from North Korea. In fact, HAARP radar transmitters located in Alaska could erect a Tesla-type Dome protective line far out in the sea, so that all missiles would be destroyed before they got even close to their targets in the continental United States. The more people understand this capability, the less effective the staged crisis will be in the minds and hearts of the citizens of the world. In fact, if most people understood this electromagnetic wave technology in protecting an entire continent against incoming missiles and/or aircraft, the more likely the staged crisis would blow up in the faces of those leaders involved in implementing this part of the plan. 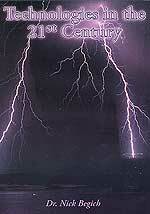 Therefore, people must be kept ignorant of this true science, just as the Illuminati has already foreseen. Listen to New Age author, Bill Cooper, describe how the Illuminati desperately wants to keep people ignorant of mathematics and science. One of the key elements in place right now which keeps people ignorant is the unbelievable acceptance the major news networks have achieved in the hearts and minds of the public. People really do believe they are getting the truth when they listen to Fox News, CNN, ABC, CBS, NBC and all the talking heads on television. As long as people will believe the false news and outright lies from these mainline news organizations, they will never comprehend the degree to which they are being deceived by staged crises such as this one in Korea! The very fact that the world is now being treated to the "news" that North Korea is now ready to test a long-range ballistic missile tells us that we are getting closer to the "end of the period" -- that time frame in which the three wars which are planned to comprise World War III are now ready to unleash.